Showtime's thriller is the best new show of the fall. Showtime's programming, regardless of quality, could very rarely be accused of taking itself too seriously. While HBO puts out sweeping epics like Game of Thrones and Boardwalk Empire, their most successful drama is a fraily frothy tale of a recreational serial killer. With Homeland, Showtime enters into new territory, offering up a sophisticated, character-driven thriller about the war on terror. 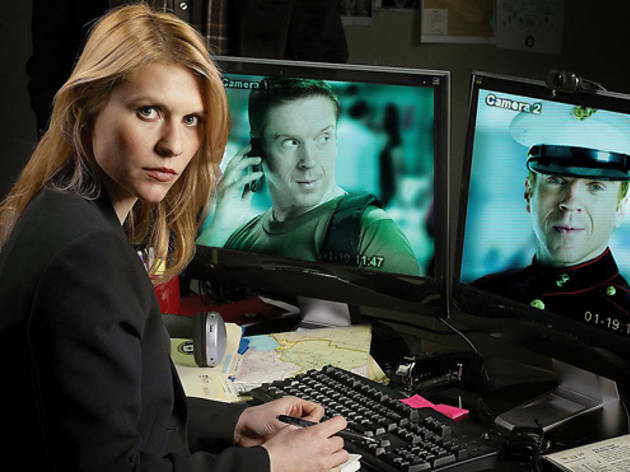 CIA analyst Carrie Mathison (Claire Danes) is a bit of train wreck. Her personal life is in shambles, she's on probation at work (having previously done field work) and her mental stability is a bit tenuous. What Carrie does have is a mission. While working in Baghdad ten months earlier, she was given a tip stating simply: "An American prisoner of war has been turned." She's thought little of this until now, as news breaks that after eight years in captivity, Sergeant Nicholas Brody (Damian Lewis, doing a more somber version of Life character) has been recovered from an Iraqi safe house. While everyone is rushing to raise up Brody as a hero and a symbol of victory for nation's war, Carrie is instantly suspicious and fixed on the idea that man of the hour is actually a terrorist. Creators Howard Gordon and Alex Gansa previously served on 24, which had a tendency to turn the subject of the war on terror into something of an amusement park ride. With Homeland, based on the Israeli series Hatufim, they execute a more methodical and character-driven drama. Danes and Lewis turn in spectacular performances and while they only share a single scene in the first three episodes, the narrative of the two characters plays against each other like a riveting game of strategy. While Lewis's POW would appear to be the flashier role, it's Danes's Mathison that turns out to be truly engrossing, a complex creature equally composed of duty and frailty. With impressive talent on both sides of the camera, Homeland succeeds as both a compelling thriller and an engaging character drama. 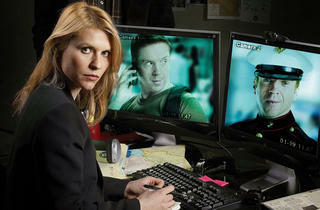 Homeland premieres Sunday 9pm on Showtime.